Metroid was very popular in the late 80s and early 90s. Despite only two games being released, players loved it for its unique atmosphere and construction: the whole game consisted of one gigantic overworld with many places to explore and items to find. On top of that, there were plenty of secrets: who can forget the fact that you get to play as suitless Samus by beating the game in five hours or entering the password "JUSTIN BAILEY"? Metroid II: Return of Samus for Game Boy played similarly to the first game, but introduced new equipment and a completely new gameplay element — as well as taking out the leader of the enemies, you also have to eliminate the Metroids themselves. 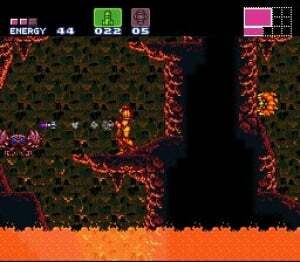 Metroid II took a more linear path than the first, letting you go deeper into the planet the more you find. But the series hit new heights with 1994's Super Metroid. Set after the events of Metroid II, the story begins with Samus travelling to a research centre in space with a baby Metroid that followed her from planet SR388. She later returns to find the place wrecked and every crew member dead, but chances upon a surviving baby Metroid in a room at the back. Before Samus can do anything, her nemesis Ridley appears and snatches it, escaping to Zebes, the world from the first game. Samus, of course, follows. Samus must once again explore Zebes, but with a twist: some rooms are new, some are old, even deformed over the time that passed since the first game. It's business as usual for the most part: collect upgrades, shoot Space Pirates and defeat bosses, including the main enemies from the first game: Mother Brain, Kraid and Ridley. 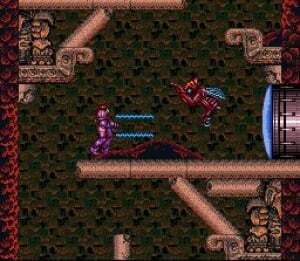 Super Metroid introduces many new moves and ideas, though; it marks the first appearance of the Grapple Beam, allowing Samus to swing on ceilings to reach hard to reach places, which would later return in the Metroid Prime series. Super Metroid also features the Screw Attack, which has now become the logo for the series. The locations in the game are varied. There's Crateria, the surface area; Brinstar, an area now overgrown with plants which served as the first area in the original game; Norfair, a lava world; Maridia, an underwater area; Wrecked Ship, which is a crashed frigate; and finally Tourian, Mother Brain's new lair. Many of these settings would be repeated in later games, particularly the Prime series. Gameplay is smooth and responsive — Samus handles well, runs rather than walks and can now shoot diagonally, a small addition that makes a big difference. Amazingly enough, all the upgrades go to different buttons and button combinations, and it all fits snugly on the SNES controller. The difficulty's not too high, and while some of the bosses are nasty, it's not that hard compared to the previous two games. Any average gamer should be able to complete the game quite easily. Music is always a Metroid strong suit and it's certainly one of the highlights here. 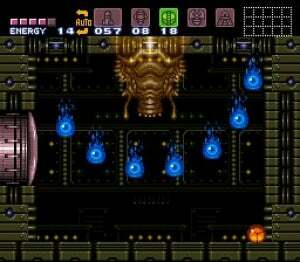 From the eerie, almost silent music that plays in Crateria at the beginning of the game, when you land on Zebes and there's not a single living thing to be seen, to the slightly more action-oriented theme that plays only moments later when there's suddenly Space Pirates around, to the now legendary opening and ending themes, Super Metroid's soundtrack is absolutely stunning and must be heard. One of the SNES's finest. The graphics are also extremely nice. Each sprite is well detailed, and there's plenty of neat touches in the background and foreground: at one point you spot bugs feasting on the body of a dead soldier, and when you approach, they all skitter away. 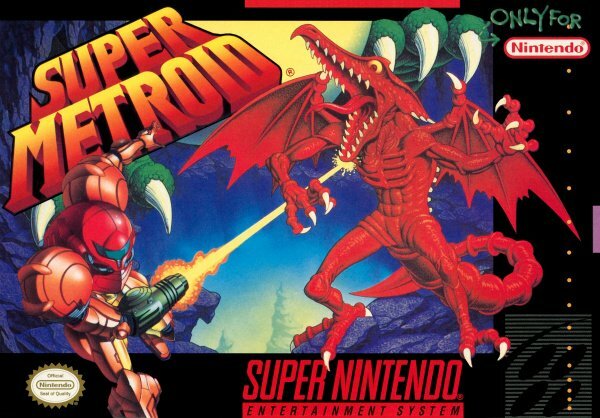 Super Metroid is one of the greatest SNES games ever made, and arguably Samus Aran's greatest outing. 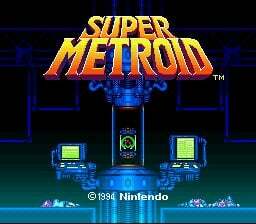 If you've never played a classic side-scrolling Metroid game before, Super Metroid is the one to start with. Okay, I'm gonna have to say it - NOPE, YOU'RE WRONG!!!!!!!!!!! "Somebody" erased their post that previously sat above mine, which made my comment more relevant. "Whoever" wrote it stated that this game was the best game on the VC, bar none. So I responded with a big ol' NOPE!!!!! Well it does take time to get used to. I used to find the Phantom boss hard too, untill I played the game again for the third time. Plus navigation is a walk in the park for me. But you do raise good points though. 10/10 easily for me since it's another one of my faverite SNES game, and deserves it on it's own merits too. 10/10 for me also. This is the only Super NES title that never got a re-release, remake, or port to any console. Just I got to play it again on VC for Wii. The best metroid, and one of my favourite games ! Definitely 10 out of 10 ! Not 10 out of 10. An 11 out of ten. This game was more than a game. At 11 years old, when I beat it on the SNES, even though it took me lots of deaths, and the secret at the end, It was my life. I'm going to play this for the first time soon. This game is absolutely astonishing. If I had to use the right word for it, just one word, it would be "captivating". Everything about it hooks you. The eerie intro. The atmospheric and somewhat paranoiac music. The sense of being completely and utterly alone. alone alone alone (echoes die down) The awesome weapons and secrets you can discover. The nearly perfect game play and controls. The bosses are imaginative and challenging. Just, everything about the game is nearly perfect. Definitely 10/10 material. Gah! I can't wait for Other M! Just downloaded this to my BRAND NEW BLACK Wii. Perfect choice to break in the New Wii. Just bought this game recently on VC and is definitely one hell of an awesome game. The game is 16 years old and costs 8 dollars when it is good enough to cost full price even today. This game is a must own title for all seasoned gamers. I'm leaving to go play it right now. Unfortunately, there is still controversy going on nowadays as to which game is the best Metroid game; Super Metroid or Metroid Prime. As I have indeed beaten Super Metroid (and absolutely love it!!!) I have yet to play Prime to answer this question personally myself. GOOD LUCK, SELF! Ok this review defitnetly convinced me that its an awesome classic and I think Metroid is one of the best games out there. There is only one thing that worries me and thats the controls. I have played the demo on the SSBB when you unlock it but when i played on the gamecube controller i hardly was good at jumping. All i want to know is if there are control options and thanks to anyone that tells me. this game looks pretty sweet! man I want this one. Even on the demo you can adjust the controls. I feel the same way though, I don't have a classic controller, I use a gamecube one. Best classic (out of the classics I played so far) EVER! I haven't beat it yet though. Don't get the wrong idea: "WHAT??? You owned sense the snes and after all those years, you still haven't beat it?!?" Well I actually purchased it on the Wii shop channel. 10/10, is that what you said, INCORRECT! 1,000,000/100!!! 10/10 is the perfect score for the perfect game. I bought it on the Wii's VC about a week ago and I'm still preparing myself to start the adventure. Never played it though, but my expectations are through the roof, as you can imagine. I'll check it out this weekend.